I love gardening, I don’t know why, I just do. It could be because of the amazing feeling of growing something out of practically nothing. It could be because I like knowing I can provide for my family with food straight from our own garden. It could be because a lot of different things… of which none really matters right now. At the end of the day I do it because I love it. You should garden indoors because it is too cold to garden outside in the winter, and most plants don’t like the snow. Of course, it’s worth mentioning that seeds like snow. You should garden indoors because you can grow fresh veggies and herbs right from your window ledge… and that’s pretty darn cool! Amazon has a wide variety of kits to get you started. Finding fresh produce this time of year is not always fresh… unless it is straight from your indoor garden. 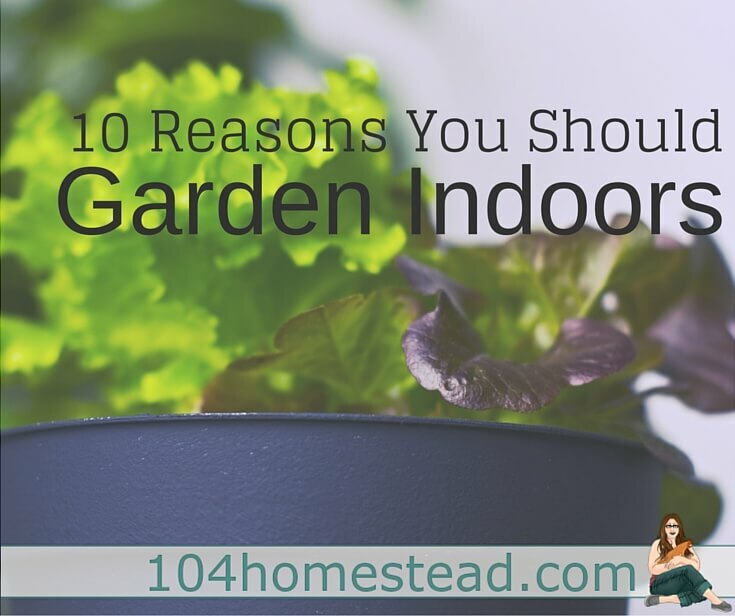 Indoor gardens can be suited to your specific needs. You don’t have to grow anything you don’t want to. You can also grow a ton of anything you love! Even grow for your livestock. It’s a great way to help purify the air in your home, especially when it’s too cold to open the windows to get fresh air. Your home will take on the fantastical (that’s a word right?) fragrance from the herbs or flowering plants that you are growing! Potted hyssop is perfect for this one. You can express your inner rebel by not following the rules of the seasons. Gardening indoors allows you to garden any time of the year, assuming you live somewhere that gets at least some sunlight… even then you could always use grow lamps, so never mind that’s not an excuse. It is a great introduction to growing things. Whether you are new to gardening , you don’t have a green thumb (yet), or you are teaching your kids how to grow plants, it’s a fantastic intro to the world of gardening. You don’t have to garden in the elements. Unless you don’t have a roof on your house, or your roof doesn’t do what it’s supposed to do by keeping the elements out. In which case I suggest you focus your time on your roof at this time. 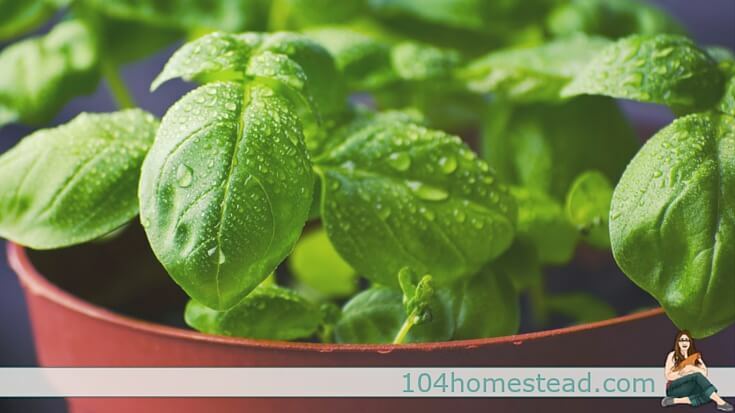 Your garden can be a single planter with an herb or two. Your garden doesn’t have to be an over the top fancy-schmancy space solely dedicated to just your plants… unless you have the means and desire to do so. Then please, be my guest! So now I have your attention, you may be wondering what you can grow. Edibles. There are several edible plants that can be grown indoors including sprouts, herbs, shallow-root vegetables, and if you have the space you can plant pretty much anything. Non-edibles. Why not add some house plants, or flowering plants? There is a huge benefit to having any sort of living plants indoors… it doesn’t just have to be things you eat. There truly isn’t a whole lot that you can’t grow if you have the right kind of space, sunlight, and patience… sometimes patience is the thing you need most. If you need help growing in containers, check out this Craftsy class Success With Container Gardening. Such a lovely post and amazing company. I’d absolutely love to learn more about indoor gardening,,thanks for posting. Excellent top 10 list. I grow a lot of plants indoors just for the mere fact of the clean air you will breathe. It’s so crisp. That is an excellent reason. That’s why I have most of them in the bathroom and kitchen. I keep getting a white powdery fungus in mine? Any help? Bringing the garden inside is the best thing you could do to freshen up your home and mood. I live in a small apartment and indoor gardening helped me to set up my own green heaven. Your article is really interesting! I just planted microgreens today — 4 different kinds and then I came here and saw your post. Too funny. I agree we should all be gardening indoors! I love when that happens Chris! Which microgreens are you doing? It can definitely be a process. I am glad I was able to inspire you to get it going. When you do I would love to know what you decided on.